An Asiana Airline Boeing 777 from Seoul, South Korea, has crash landed at San Francisco International Airport leaving two dead and more than 180 injured. The two fatalities were identified by state media on Sunday as Chinese schoolgirls, Ye Mengyuan and Wang Linjia, both 16, who had been traveling as part of a group from Jiangshan Middle School in China's eastern Zhejiang province. At least 49 others are in a critical condition. Two are paralyzed according to San Francisco General Hospital Chief of Surgery, Margaret Knudson. The deceased had been recovered outside the plane on the runway, according to San Francisco fire Chief Joanne Hayes-White. The Asiana CEO Yoon Young-Doo said the two had been sitting at the back of the plane, which was quickly ripped off on crash impact. "Please accept my deepest apology,"Young-Doo said, bowing in respect for the two deceased and dozens injured in the crash landing. 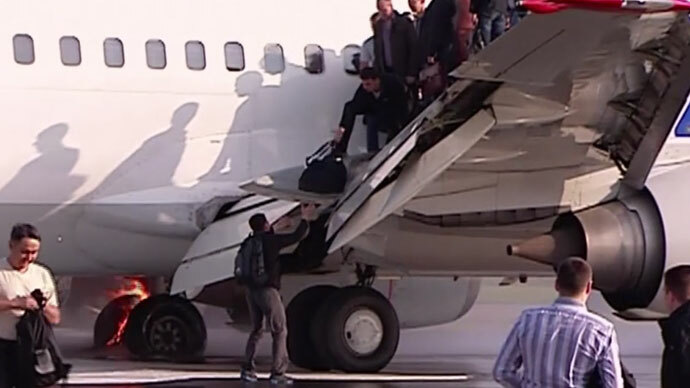 All other 305 passengers survived the initial crash landing. On the flight were 141 Chinese nationals, 77 South Koreans, 61 Americans, 3 Indians, 3 Canadians, 1 Japanese, 1 French, 1 Vietnamese, three unidentified nationalities, and 16 crew members. "Everyone has been accounted for," San Francisco Mayor Ed Lee told reporters at a news conference. “It is incredible and very lucky that we have so many survivors," he added. “It is nothing short of a miracle that we had literally 123 people walk away from this,” said San Fransisco Fire Department Chief Joanne Hayes-White at a press conference on Sunday. The plane flying in from South Korea had been scheduled to arrive at 11:15 am local time, but was running some 15 minutes late. At around 11:30 am, the tail of the aircraft hit the runway, wobbled back and forth and then tipped to the left, which caused the plane to crash and burst into flames and smoke. Investigators think it may have hit a sea wall, indicating it had been very short on its landing. An eyewitness told local station KCBS that the plane looked like it was “at an odd angle” as it was coming in to land. The plane "started violently shaking" after it hit the runway at San Francisco airport, and then "rolled over," a witness told local channel KTVU. Passengers clamored to exit the burning vessel - some jumped, others climbed, and many slid down evacuation chutes. Rescue vehicles from the San Francisco and San Mateo fire departments were on the scene within minutes. 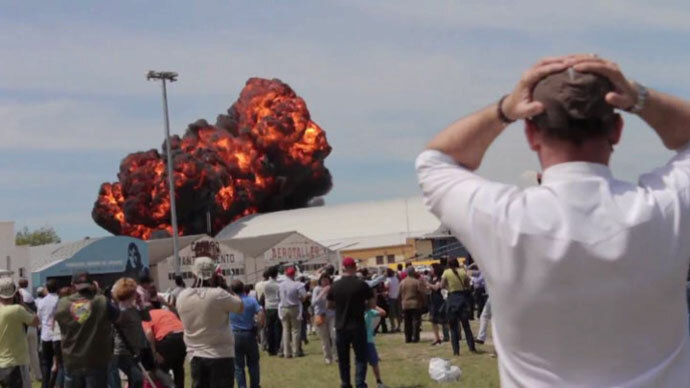 Some witness said that they were unable to see the plane as it had been completely consumed by smoke. Third alarm called for San Francisco International Airport. Initially, black and grey smoke was visible, which lightened as firefighters began to bring it under control. SFFD Fire Chief tells me 140 firefighters responded to plane crash from SFFD, 85 firefighters from San Mateo Co.
Hayes-White reported “major structural damage…the seats were buckled,” reiterating that the number of survivors was miraculous considering the extent of the destruction. San Francisco General Hospital has confirmed it admitted 52 patients with 5 of them in critical condition and another 5 seriously injured. Patients sustained fractures, burns and spine injuries, according to the hospital’s spokeswoman Rachael Kagan. Stanford Hospital has also confirmed that it is treating 45 passengers. Several sustained 'life-threatening injuries', local station KTVU reports. The Asiana CEO later told reporters he didn't believe the problem was onset by a mechanical glitch in the aircraft nor pilot inexperience: one pilot had more than 10,000 flying hours, and the other more than 9,000. "Our pilots strictly comply with aviation rules," Young-Doo said at a press conference in Seoul. However, it emerged on Monday that Lee Gang-guk, who was at the controls had only 43 hours of flying experience in the 777. Young-Doo rebuffed accusations that this may have been a factor on Monday, stating that "We only send pilots with prior San Francisco landing experience to SFO...we also prepare pilots through simulators." News from the investigation revealed that the plane had been traveling "significantly below" the target speed of 137 knots per hour (253 km/h). "We purchased this airplane in March 2006... currently we understand that there are no engine or mechanical problems," Young-Doo said. The reason of the crash remains unclear. National Transportation Safety Board investigators arrived at San Francisco International Airport late on Saturday. The cockpit voice recorder has revealed the pilots of Flight 214 tried to abort its landing and called to initiate a "go-around" (a request for an aborted landing) 1.5 seconds before impact, the National Transportation Safety Board Chairman Deborah Hersman told reporters at a press conference on Sunday. The crew received a warning signal the plane was about to stall about 4 seconds before the crash, the data recorder shows, said Hersman. "There is no discussion of any aircraft anomalies or concerns with the approach," the NTSB chief added. However, Hersman stressed that all information is preliminary and she expects the NTSB team will work at the scene of the crash for "at least a week," possibly longer, with at least 12-18 months needed to complete the investigation, she added. It was established on Sunday that a piece of airport equipment was out of service. The runway’s glide slope indicator - used by pilots to help calculate their altitude on approach - was out of service because of a construction project, according to NTSB chairman, Deborah Hersman. “We’ll be looking at what the crew might have been using to get in,” she said. “But everything is on the table right now." “The 777 has a fantastic record,” Tom Haueter, the former head of aviation investigations at the National Transportation Safety Board, told the Washington Post. 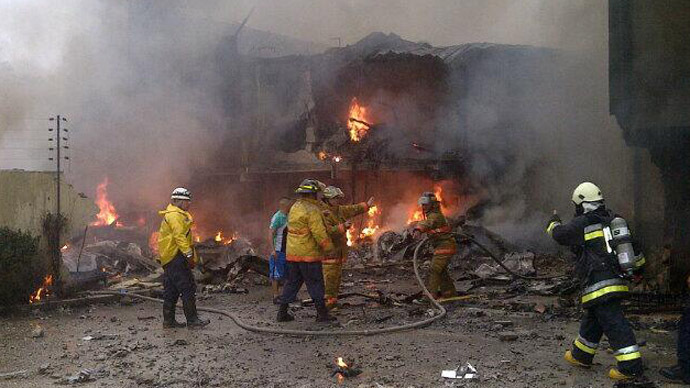 It is only the second major accident in the 'Triple Seven' long-range jet's 18-year history. The other accident occurred on January 17, 2008 at Heathrow Airport in London as British Airways flight 28 crash landed, missing the runway and skidding over the tarmac. No one was killed, and there were 47 injuries. 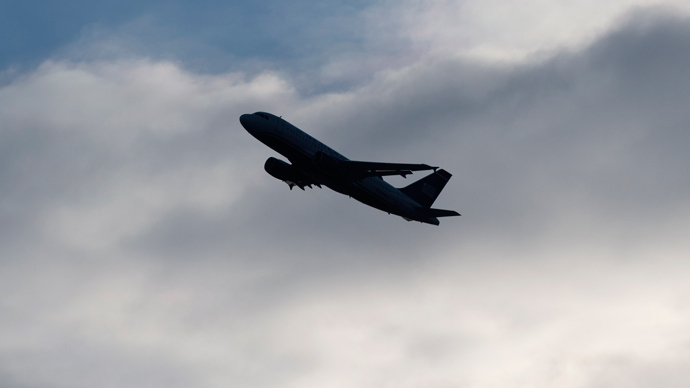 The London investigation showed the plane's fuel pump was blocked by ice pellets that were formed while the plane was flying at higher altitudes. The dual-engine aircraft is typically routed on transnational flights over 12 hours. The flight from Seoul to San Francisco was 10 hours and 23 minutes. The plane first took to the skies in 1994 in its introductory flight, and was operating commercial flights by 1995. Hersman confirmed that NTSB has sent a "Go-Team" to San Francisco to investigate the accident. The FBI said there was no indication of terrorism or criminal acts involved in the plane crash. The airport was closed for several hours following the incident. More than 300 flights were cancelled as planes were stopped from flying in and out of the airport. Asiana Airlines Inc. is South Korea’s second-largest airline by revenue and passengers, after Korean Air Lines Co. and is part of the Kumho Asiana business conglomerate. 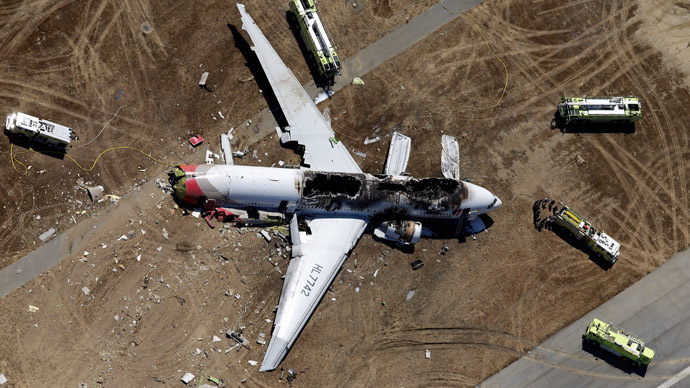 The last deadly accident involving an Asiana aircraft took place in July 2011 when a pilot and co-pilot were killed when a Boeing 747 cargo plane crashed near Jeju Island, south of the South Korean mainland.